How can automated machines and humans work efficiently in the same area – at same time building trust between each other – without any risk for the humans and without any unplanned downtime for the machines? This is the topic of the global collaboration project between BTH and Stanford this year, supported by our research partner Volvo CE. The project is part of the course “ME310 Global” (Stanford University, Mechanical Engineering) which aims to build students capabilities in design thinking by matching students with real life problems, and hence in collaboration with corporate partners. From BTH students from the MSPI program and Mechanical Engineering program takes part. ME310 students at the Volvo CE test site in Eskilstuna. This week the joint team of Stanford and BTH students visited Volvo Construction Equipment to present their findings so far, to discuss future options and to experience Volvo’s heritage and machines. A good exercise in needfinding, problem awareness and also solution finding. Getting dialogue sessions with the Volvo CE people who have huge experience in the field is of great importance for the team. Students running workshop with Volvo CE team. Thereafter, they all headed towards Karlskrona for some days of intense and fruitful discussions, with this being the first opportunity for them to sit in the same room since the project kicked off in October of last year. The main topic of the week has been to plan and decide on what the global team will develop and show at the Stanford EXPE in the beginning of June. 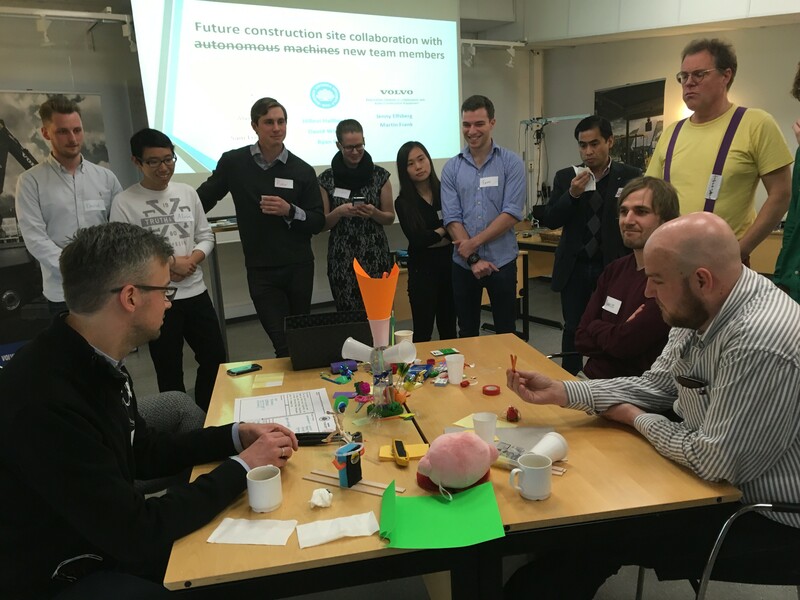 Between now and then, they will have some intense work to put together the final solution to support the trust-building in future autonomous construction sites. Naturally, it wasn’t all about hard work. 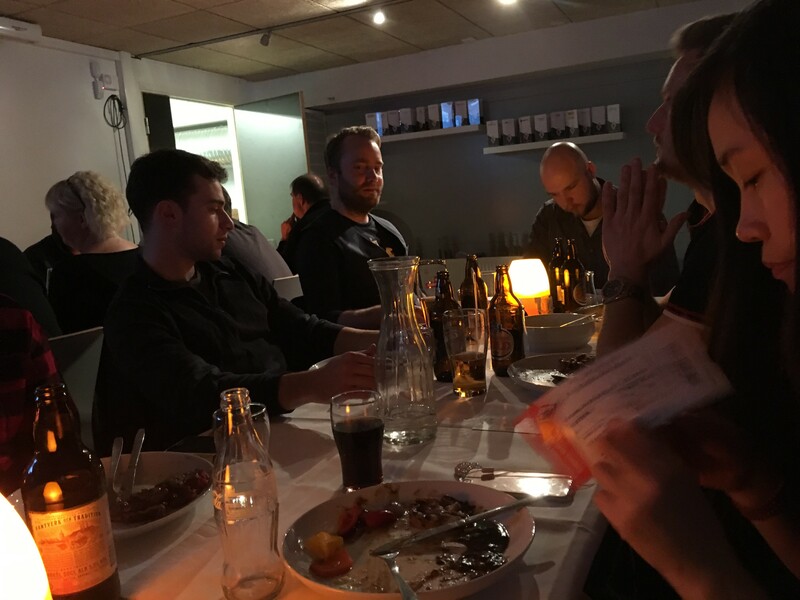 They’ve also had the opportunity to socialize and enjoy some free time while meeting in person, including attending one of the SHL qualifying games for Karlskrona HK. For more info on the project contact Christian Johansson, or Tobias Larsson.